Oh So Bright: Happy Easter! Just wanted to say Happy Easter! 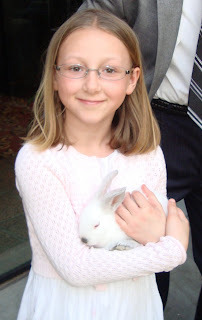 This is my cousin Emile holding a sweet Easter Bunny. I will be back shortly with a full update in a few days. Hope you all are having as great of a holiday weekend as we are!